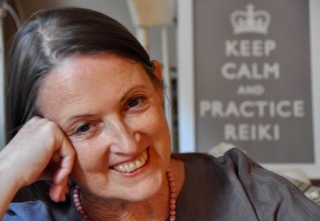 I often have the Reiki Precepts in mind, and they are especially present when I’m preparing a Reiki Precepts Retreat. The Precepts are so much to my liking — simple structure, lots of room to breathe. This morning I revisited how much Today only stands on its own, not just as a prelude to Do not worry, Do not anger. 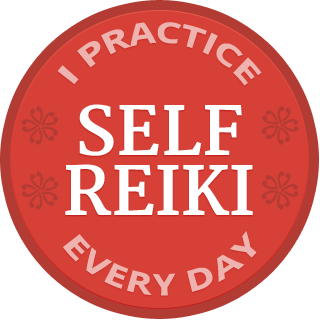 Today only is shorthand for all the Reiki Precepts. Today only draws me into Right Now. How can I connect with Reiki practice in This Moment, the only moment I have? How do the Precepts support you living from your Reiki state, Right Now? Want to stay in touch? Please sign up for my email list. What beautiful sharings, thank you. The Precepts give us access to Reiki beyond the parameters of our deliberate practice, transforming our understanding and therefore the choices we make, so we can keep choosing to stay aligned with our deepest values and being. The Precepts not only support my Reiki practice but also the way I look at my everyday living, the way I connect with people and nature. They are a way for us to remind that we can always develop new skills and keep ourselves curious regarding out life journey, making the best we can to ourselves and other people with the tools we have at the moment. I know so many young people that are already on their way to death. I don’t mean they are going to die soon… what I’m trying to say is that they lost their hopes and dreams and feel they are restrained by some kind of barrier they cannot eliminate. They feel that life, or what’s left of it, it’s going to be like that until the end and it’s impossible (or they simply don’t have the will/strength) to do something about it. I have found over the last two years that as I have deepend my Reiki connection not only does Reiki energy support and precepts come to mind when times are tough but also now when times are good or when times are tough for others which is nice, it is more present in my life as I have become more present and aware in myself and now is more of a flow and way for me to have greater self control and calm in my life. Great posting Pamela.